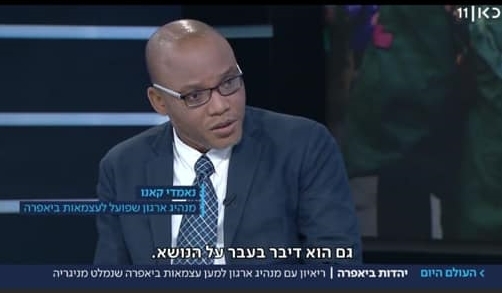 The outspoken leader of IPOB, Nnamdi Kanu has said the Nigerian government spurned the demands he made after he was released from prison over a year ago as he appears live on Israeli National TV. 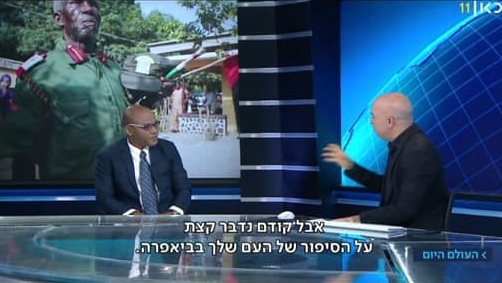 Leader of the proscribed Indegenous People of Biafra (IPOB), Mazi Nnamdi Kanu, who resurfaced in Jerusalem, Isreal, after one year of no communication, appeared on Israeli National TV, on Sunday, and said that the Nigerian government rejected his demands. In a message posted to Radio Biafra’s Facebook page, said the federal government spurned the demands he made after he was released from prison over a year ago. Kanu said: “I told them, that I want them to open Igweocha seaport, Port Harcourt,” Nnamdi Kanu, who leads the Indigenous People of Biafra.Leader of the proscribed Indegenous People of Biafra (IPOB), Mazi Nnamdi Kanu, who resurfaced in Jerusalem, Isreal, after one year of no communication, appeared on Israeli National TV, on Sunday, and said that the Nigerian government rejected his demands. Recall that Kanu’s IPOB is pushing for an independent state for the Igbo-dominated southeastern Nigeria. Kanu, however, said he will drop his agitation only if the Southeast governors get him a concession. 1. 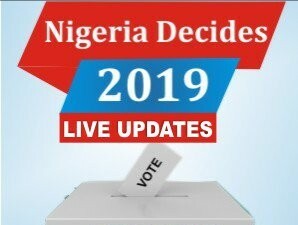 That Nigeria should be reconstructed without delay back to 1963 constitution. Regional autonomy, true fiscal federalism, devolution of power. 2. A new people's constitution, affirmed at a referendum with a clause for referendum. 3. Immediate reopening of Port Harcourt, Calabar and Warri seaport. 4. Immediate expansion of the Enugu International airport. 5. Immediate release of all political detainees etc. So back to your question, yes Nnamdi spoke the truth in his broadcast Saturday. I was the go-between. Those who preferred to kill him rather than address those issues he raised may have their reasons. But Nnamdi spoke the truth."